William Hill has received four offers from fellow gambling operators for its Australian business, the Australian Financial Review reported on Monday. The winning bidder is set to undergo due diligence before the end of the week and is expected to assume control over the Sportingbet brand next month. William Hill acquired the Australian and Spanish operations of Sportingbet as well as the Centrebet and Tom Waterhouse online wagering brands in 2013 for the total amount of £485 million. Last month, the British bookmaker announced that it was reviewing its Australian business and that its sale was under consideration. It then became clear that William Hill has hired financial services firm Citi to set up a formal bidding process for its Australian operations and law firm Clifford Chance to guide the operator through the sale process. 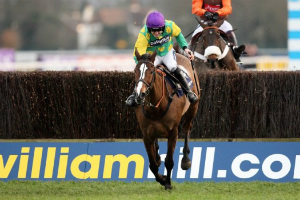 It was understood that Paddy Power Betfair’s Australian business Sportsbet, Ladbrokes, and bet365 have all made offers for William Hill’s Australian betting brands, each valuing these at around A$200 million. According to the Australian Financial Review, Australia’s CrownBet was the fourth bidder. The online sports betting business of local casino operator Crown Resorts is itself in the middle of a change of ownership. Late last year, Crown Resorts agreed to sell its 62% stake in the wagering business to a group of investors that included CrownBet’s CEO Matt Tripp. The deal was expected to be finalized by the end of February. UPDATE: The Stars Group, parent company of PokerStars and online sports betting operator BetStars announced today that it has partnered Mr. Tripp to buy Crown Resorts’ 62% stake in CrownBet. 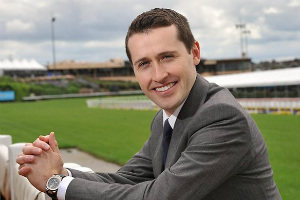 What’s Next for Tom Waterhouse? As mentioned above, William Hill entered Australia in 2013 with the acquisition of the Sportingbet, Tom Waterhouse, and Centrebet brands. All three were led by popular Australian bookmaker Tom Waterhouse at the time. In 2014, Mr. Waterhouse was appointed CEO of William Hill’s Australian business. His future is still unclear in case a sale takes place. However, many believe that the preferred buyer would likely keep Mr. Waterhouse on board due to his extensive experience and connections within Australia’s betting scene. Mr. Waterhouse made the headlines a few years ago due to what many considered too aggressive promotion of his Tom Waterhouse online betting business. According to analysts from Macquarie, William Hill’s Australian business currently represents a 5% share of the nation’s betting market. The company’s Australian operations have underperformed for several years now. It is believed that latest regulatory developments within the country’s gambling landscape have further encouraged the British bookmaker to reconsider its presence in Australia. Several states have recently introduced or confirmed that they would introduce a 15% point-of-consumption tax that would require bookmakers to contribute tax money to the jurisdictions where they provide their services in and not just in the jurisdictions where they are licensed. A recently introduced ban on credit betting further restricted operators in their efforts to acquire bettors. Under the latest amendments to Australia’s Interactive Gambling Act, bookmakers can no longer extend credits to betting customers. The click-to-call betting feature introduced by offshore betting operators to circumvent previous gambling regulations has also been banned under the recent amendments.